Asus Zenfone Max Pro M2 is the most affordable smartphone to offer Corning Gorilla Glass 6 protection for the screen. This protection helps device withstand rigorous scratches and other damages. It is powered by a massive 5,000 mAh battery unit which combined with the energy efficient Snapdragon 660 CPU can last for one full day on heavy usage. Despite carrying such a massive battery, the phone is of light weight and looks sleek in design. The Asus Zenfone Max Pro M2 is available in India and it will be launched on 18th December 2018. The device sports a 6.3-inch full HD+ screen with a 19:9 aspect ratio and resolution of 1080 x 2280 pixels. The display is a notched type. It is powered by an octa-core Qualcomm Snapdragon 660 SoC paired with Adreno 512 GPU, 3/4/6GB RAM, and 32/64/64GB internal storage. This storage can be expanded up to 256GB via microSD card. In terms of optics, the handset sports a dual rear camera setup with a 12-megapixel primary sensor with a f/1.8 aperture and a 5-megapixel depth sensor, along with a 13-megapixel selfie camera that has a front LED flash. Connectivity aspects on board the Max Pro M2 include Wi-Fi 802.11 b/g/n, Wi-Fi Direct, hotspot, v5.0, microUSB v2.0, with GPS, GLONASS, and dual Sim (Nano + Nano). The device packs a 5000mAh battery and runs Android 8.1(Oreo) out of the box. Sensors on the device include a Fingerprint sensor, an Accelerometer, a Gyroscope, and a Proximity. The handset is going to be available in Blue and Titanium color variants. 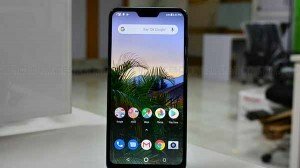 The Asus Zenfone Max Pro M2 price starts from Rs. 12,999 for 3GB RAM and 32GB, Rs. 14,999 for 4GB RAM and 64GB, and Rs. 16,999 for 6GB and 64GB variants in an Indian market. These Asus smartphones to receive Android Pie stable update by April 15, 2019. The Asus Smartphones that are now said to get the Android Pie flavor are the ZenFone Max Pro M1, ZenFone Max Pro M2, and the ZenFone Max M2. Asus just rolled out an FOTA update to the Zenfone Max M2 and Max Pro M2. Now, the company has started seeding the very first Android 9 Pie update to the Pro variant among the duo. Asus took to Twitter to announce that the beta version of the Android Pie update is out for the Zenfone Max Pro M2. Asus ZenFone Max Pro M2, ZenFone Max M2 receiving new FOTA update. The FOTA update for the ZenFone Max Pro M2 carries a build number 15.2016.1901.186, whereas, the ZenFone Max M2 FOTA update comes with a build number 15.2016.1901.156.